The long awaited decision in Fisher v. University of Texas emerged from the Supreme Court today with a reassuring whimper. The Court’s 7-1 decision (Justice Kagan was recused) leaves the law of affirmative action unchanged and, importantly, reaffirms that its prior decisions allowing consideration of race in university admissions remain good law. Only Justice Ginsburg dissented from the majority’s holding that the lower courts had not sufficiently applied strict scrutiny. She argued, correctly, that the University’s consideration of race was appropriate. The University’s undergraduate admissions program sought to create a diverse student body in two ways. First, it admitted all applicants who finished in the top ten percent of their high school classes. 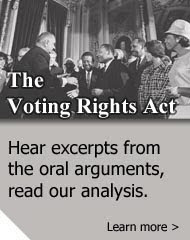 This program was adopted after a 1996 decision by the 5th Circuit Court of Appeals rejected the notion that race could be considered as a factor in achieving a diverse student body. Before that decision was superseded by the Supreme Court’s 2003 decision in Grutter v. Bollinger, Texas adopted its ten percent plan, knowing that taking the top students from the state’s segregated schools would increase diversity. To fill the remaining 20 percent of the places for the incoming class, the University took into account a variety of factors, such as grades, SAT scores, socio-economic measures, legacy, and race. The Fisher case challenged the use of race in this second pool of applicants. The court reaffirmed that it is appropriate for universities to take race into account to achieve a diverse educational environment. It emphasized, however, that the use of race must be narrowly tailored and found fault in the lower court’s reliance on the “good faith” of the university in determining that there were no adequate race-neutral means of achieving comparable diversity. Importantly, rather than reverse and hold that the university could not consider race, the Court merely sent the case back to the 5th Circuit to revisit the availability of race-neutral alternatives. Theoretically, the lower court is free to affirm its earlier holding. Because the case was decided on motions for summary judgment, there was no trial for the development of facts. The availability of race-neutral alternatives is an issue of fact. The 5th Circuit, therefore, can credibly remand the case to the district court for development of the record on the issue, including the taking of testimony on the effectiveness of alternatives. The district court’s decision could then be appealed to the 5th Circuit and could eventually return – in the distant future – to the Supreme Court. The case was argued in October. The issuance of the decision only today reflects the deep disagreement among the Justices over the issue of affirmative action. 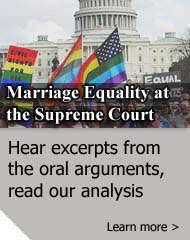 Justices Scalia and Thomas wrote separately to make clear that they joined the majority’s opinion only because Fisher did not urge the Court to overrule Grutter and disallow consideration of race altogether. Based on past decisions, it is likely that Chief Justice Roberts and Justice Alito share that view. Presumably, they had hoped to get Justice Kennedy to join them, but he held fast to his repeated refusal to take race off the table entirely. Unfortunately, he also held to his pattern of never approving a program that considered race. The decision – even in its compromised form – highlights how misguided the Court’s jurisprudence on inclusive racial classifications has become. The opinion is filled with rhetoric about the evils of considering race, regardless of the purpose. Helpfully, Justice Ginsburg pointed out that the Court had no occasion to address the distinction between racial classifications that separate and those that are inclusive. By contrast, Justice Thomas, in his concurrence, was incapable of distinguishing between the Jim Crow exclusion of African Americans from public schools and the University of Texas’s program to increase diversity. According to Thomas, “every time the government . . . makes race relevant to the provision of burdens or benefits, it demeans us all.” In reality, of course, many people, including Justice Thomas, have benefitted from appropriate consciousness of race and some of them have made our society a far better place because of it. It is essential that the Court never gets a fifth Justice who rejects that view. In the meantime, it will be incumbent on university administrators to continue the push to create diverse institutions that will move us toward a more just, inclusive and productive society. Today’s decision should not slow that effort. 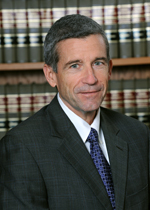 William Yeomans is a Fellow in Law and Government at American University's Washington College of Law.